There is an upcoming moneymaker at CVS starting 10/21. 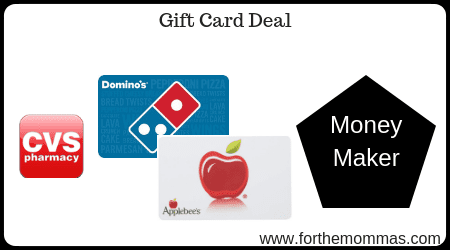 Domino’s Pizza and Applebee’s Gift Card are on sale for $50. Plus you will receive $10 Extrabucks that will make this a moneymaker deal! Love the gift card deals!